Malcolm Ballard with The Ballard Group, Inc. came to the Arion Group with a marketing problem. 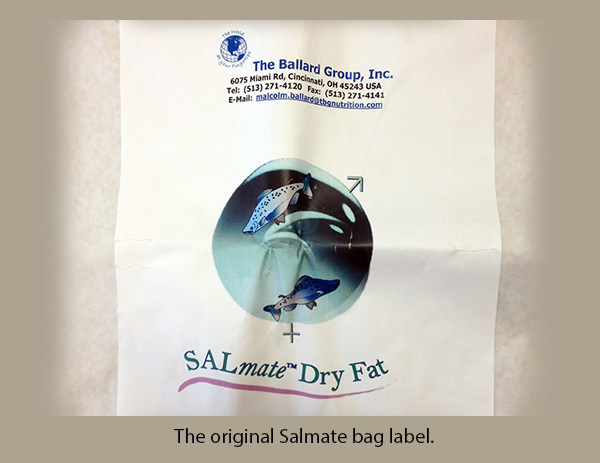 His Salmate® Dry Fat cattle feed contained an omega-3 fatty acid enriched product that was getting great reviews from local farmers, but it wasn’t selling well outside his area. Luckily his bag printer suggested he talk to the Arion Group about creating a new package design. 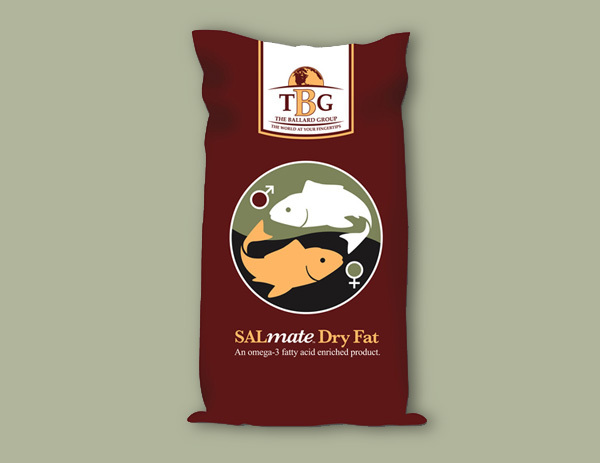 Salmate is a product proven to increase fertility in cattle through its special blend of essential fatty acids (EFAs) derived from fish. These EFAs affect various levels of hormones that support breeding and pregnancy. Warm earthy colors were chosen for the bag and it was printed in four colors. The symbol on the front communicates balance and fertility, as well as the main source of fats in the product being derived from fish. The new design gave more credibility to an already proven product and helped propel it into the global market. For help with your next package design, contact us today.